Posted by Chris Kuiper // November 30, 2016 // Business and Free Enterprise, Economics, Economies, Government, Individual & Economic Liberty. With Black Friday and Cyber Monday now behind us, economists and investors are hoping people shopped till they dropped in order to give the economy an extra boost. In addition, the latest GDP report on Tuesday came in higher than expected, largely driven by consumer spending. 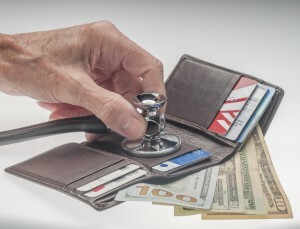 However, buying more flat screen TV’s isn’t what makes an economy healthy. 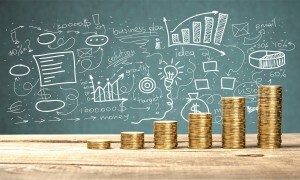 Many people believe the fate of the economy relies on retail sales and consumer spending, especially because news outlets continually note that “the consumer sector accounts for two-thirds of the economy.” Unfortunately, this is not only misleading but it is also mistaken economic theory. The measure of GDP, or gross domestic product, is simply the value of all goods and services sold within a country. While this seems like a simple enough calculation, the devil diddles in the details. One problem is that the calculation only accounts for the sale of final goods and services. This is done in an attempt to avoid double counting. For example, if a steel maker produces steel that is then sold to an automaker to build a car, only the final sale of the car will be counted and not the earlier sale of the steel. This is one reason why GDP data is so dependent on consumer spending. This leads many to believe that consumer demand and spending is what drives an economy forward. This is a notably Keynesian idea where recessions are caused by drops in demand and cautiousness causes consumers to keep their wallets closed. Following this line of thinking, the solution to any stagnant economic growth becomes obvious: get people spending! True, there is a grain of truth here because the money I spend on a new sofa goes into the hands of the shopkeeper who then has income to spend. In the same manner, if nobody buys my services, I will not have any money to buy that new sofa. The gears of the economy would grind to a halt without spending. Spending money does move the economy, but only to the extent that it is an exchange of goods and services. The critical step everyone seems to forget is that in order to spend money, you must have that money in the first place! How do you get that money? By producing something of value that someone else wants. Therefore, it is production that drives the economy, not consumption. There is never a problem or a drop in consumer demand because people never tire of wanting new and better things; the problem is maximizing production to fulfill more of those wants and needs. How is production increased? By increasing productivity. How is productivity increased? 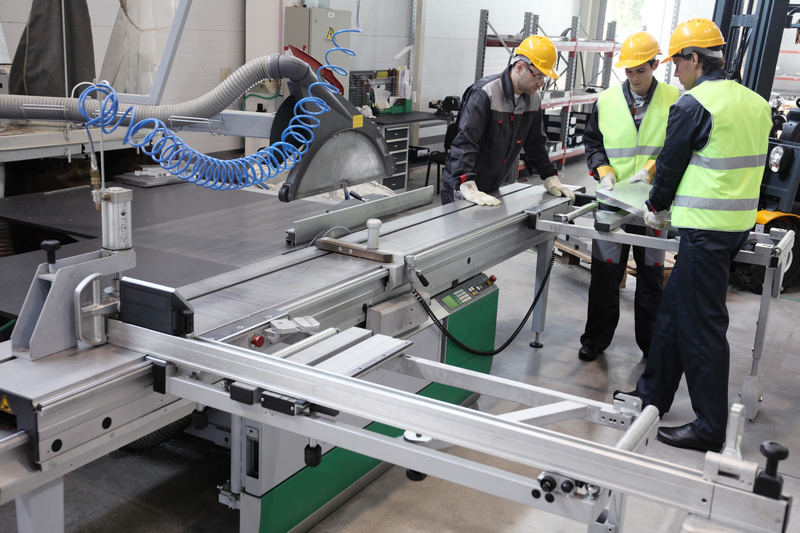 By saving, or deferring consumption so new tools can be forged and research undertaken to increase productivity. Imagine you and your friends are stranded on a deserted island, and it takes all day to catch that one fish or harvest those few coconuts that you need just stay alive. Your economy is 100% consumption, correct? How could you improve your standard of living? Not by consuming more, but by actually consuming less. You and your friends would need to go hungry for a day or two and use your new-found spare time to construct a fishing net, fashion a spear, or create other tools to make procuring food easier. This would in turn make you more productive, allowing you to gather more food during the course of a day. With the extra food, you could go back to 100% consumption and live a slightly better life, but to achieve an even better standard of living, you would need to continue to save and continue to defer consumption. consumption are a symptom of an economy that has already grown and produced more, not the cause of prosperity. GDP is merely a statistic. Although it is not a bad thing per se, what gets measured also gets managed – even manipulated – by governments. Telling the populace that consumer confidence is high and consumer spending is up can make an economy look stronger, inducing governments and central banks to continue to pursue policies that boost spending. Indeed, not only are central banks continuing to try to keep interest rates low and stock markets high to produce a “wealth effect” of more debt and more spending, but governments are also considering additional spending measures (government spending is also counted in GDP). Investors need to remember the true causes of wealth creation, and seek to protect their own wealth in the face of a government-managed economic environment. Posted by Chris Kuiper // November 19, 2016 // Banking, Business, Economics, Finance, Money & Finance, Personal Finance. responsible. Okay, perhaps most people have no idea about interest rates or central banks and would likely shrug their shoulders, but regular blog readers are certainly aware of all of the central bank actions to try to keep rates low! However, academics and economists are increasingly opposing this commonly held notion, countering that interest rates are affected by more powerful market and economic forces than central banks, contending that the decline in productivity is causing rates to be low. Therefore, which theory is correct? The answer may be both – and linked to the same cause. To understand what may be going on, we need to go back to the 19th century economist Knut Wicksell, who differentiated between the ‘natural’ rate of interest and the ‘market’ rate. 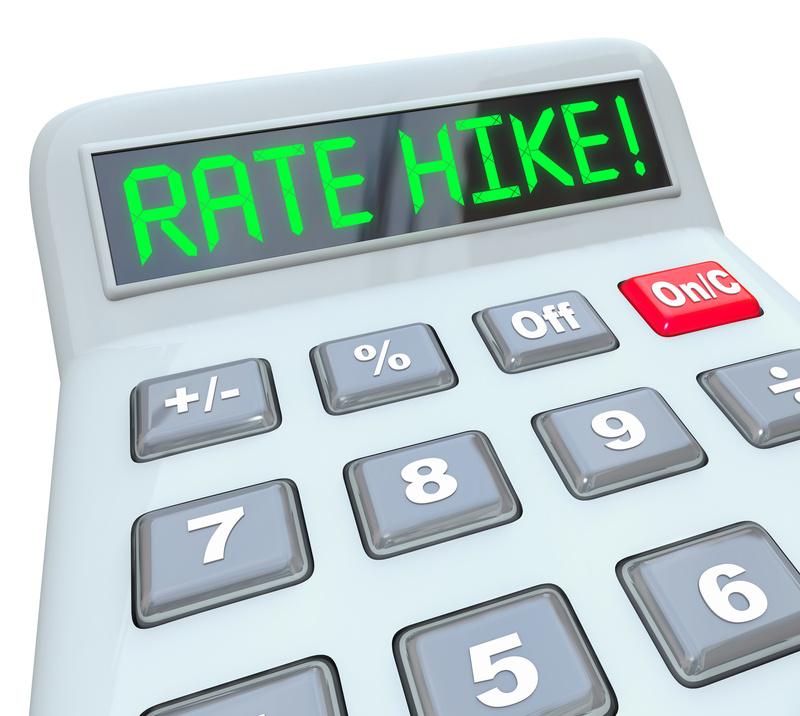 Interest rates are a type of pricing and, like prices, they signal the relative supply and demand for something; in this case, the supply and demand for loanable funds. 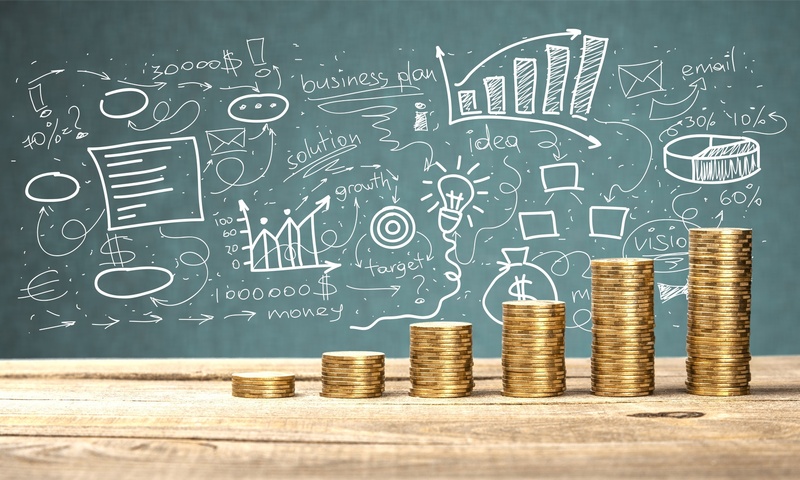 The natural rate of interest is the equilibrium rate that balances the amount of money to be loaned and borrowed, or the level of savings and investment. This natural rate therefore coordinates economic activity much like prices coordinate activity. Like other prices, the equilibrium or natural interest rate that correctly balances economic activity cannot be known by someone. Only the market process can bring it about, and it is constantly changing and adapting to different conditions. The natural rate of interest is affected by real economic forces; people changing their preference for saving versus taking on debt, or consuming now versus later. But the market rate is the rate that is the prevailing interest rate, influenced by central bank actions as they target various rates to be lower. Central banks claim they want to set the market rate at where they believe the natural rate to be, in order to bring about a balanced economy. But this is an impossible task. Just as no central planner knows the correct price of steel or milk, so the Federal Reserve does not know the correct interest rate to set in order to coordinate economic activity. It is this very attempt at setting rates that causes so much economic upheaval. If the Federal Reserve sets rates too low (or too high), misallocation of resources will occur, typically in the form of inflation, bubbles and then subsequent crashes. 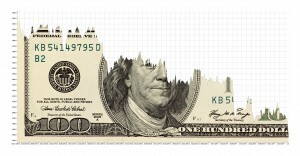 Is the Federal Reserve the perpetrator of low rates? 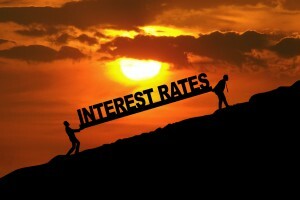 A main criticism to this theory is that interest rates have been low now for quite a long time, and therefore there is something else going on besides the Federal Reserve and other central banks keeping rates low. In other words, such critics believe the natural rate of interest is actually very low and has been declining, therefore the Federal Reserve is merely setting market rates to be consistent with this low natural rate level. One of the reasons cited for the decline in the natural rate is the decline in productivity of American workers and the general sluggishness of the economy. However, this may actually be a symptom of the previous boom and bust caused by erroneous central bank actions, rather than an unrelated factor. The Federal Reserve fueled the unsustainable boom prior to 2008, and we are still feeling the negative effects today, such as lower productivity. Because the Fed set market rates below the natural rate, misallocation of resources occurred. Instead of allowing those resources to reallocate themselves to better uses (such as out of housing and banking), the Fed was intent on keeping the status quo and avoid liquidations and bankruptcies. We see this when we examine so-called zombie banks that continue to hold bad loans on their books in order to avoid the charge-offs. We also see factories and retail stores that continue to operate because the Fed has incentivized consumers to continue to spend, rather than cut back on spending, repay debt and save. In conclusion, there are certainly other factors and forces that determine interest rates, besides the central banks. But lower productivity may actually be a logical outcome of previous low rates set by central banks. This is precisely why central banks should get out of the business of trying to set the correct interest rate, just as Soviet central planners had no business trying to set the price of eggs. 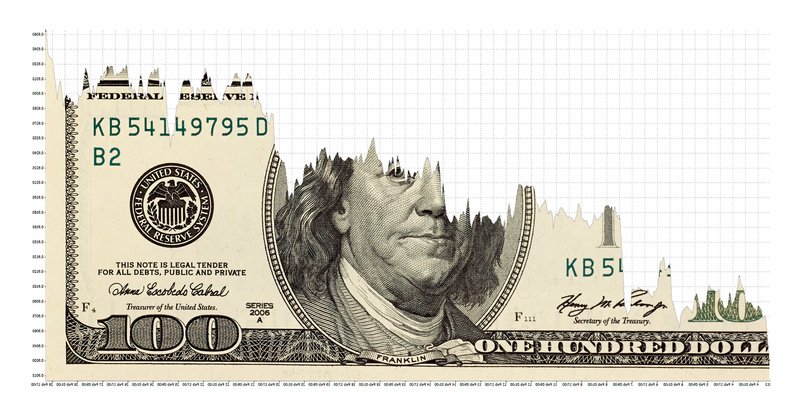 What does this all mean for your investment portfolio? As long as central banks try to guess at what interest rates “should be”, they will fail. This will cause continued misallocation of resources, and therefore investors need to be aware of continued instability such as inflation, bubbles and crashes. Posted by Chris Kuiper // November 1, 2016 // Banking, Business, Currency, Economics, Economies, Finance, Gold, Money & Finance, Personal Finance, Silver. The Wall Street Journal recently reported that inflation, after “being given up for dead,” is coming back to life. While that may appear to be the case on the surface, inflation has been alive and well – hiding out beneath the official government statistics for years. The WSJ is referring to the data released last Friday by the Bureau of Economic Analysis, known as Personal Consumption Expenditures (PCE), which measures the change in actual spending and prices and is the Federal Reserve’s preferred measure of inflation. More specifically, the article was referring to Core PCE, which is PCE excluding food and energy, and is currently at a two year high of 1.7% on a year-over-year basis. The other measure of inflation is the Consumer Price Index (CPI), which has also been markedly higher, coming in at a 1.5% annual increase as of this past September. With inflation getting closer to the Fed’s 2% target, WSJ’s columnist Greg Ip casually comments that “This isn’t bad news. 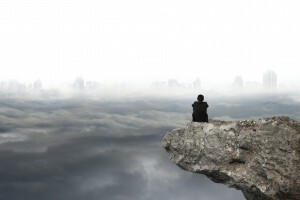 To the contrary, markets and central bankers alike will be relieved the world is no longer skirting a deflationary abyss.” But while central bankers might welcome this news, consumers will not. Sustained inflation in consumer prices is never a positive for any economy, and is also not necessarily an indicator of a growing one. Prices may rise due to changes in supply and demand, and therefore help to reallocate resources and signal those changes; but an overall and sustained increase in prices is different. If the price of an item rises for consumers, they will then stop buying it or switch to a cheaper item or cut back on another category in order to accommodate the household budget. Therefore, the only way for all prices to rise indefinitely and consistently is for new money to be constantly created and injected into the economy. This of course is merely a tax on consumers because the new money and consistent increase in prices makes the consumer poorer. Contrary to popular economic theory today, there is no threat of a“deflationary abyss”. During the nearly 100 year history of the classical gold standard, prices gradually declined an average of 2% to 3% per year as technology and productivity increased, giving consumers the benefit of these advancements in the form of lower prices. This week, Visual Capitalist made a stunning infographic using AEI’s Mark Perry’s (equally as interesting) inflation observations. Over the past 20 years, from 1996 to 2016, total inflation has been 55% as measured by the CPI. However, digging into the Bureau of Labor’s data and then channeling down to the various items that make up the CPI basket of goods, you can see that inflation varies greatly from one type of good to the next. For example, things that have increased more than the average 55% include tuition (up almost 200%), childcare (122%), medical (105%), food and beverage (64%) and housing (61%) – in other words, virtually all of the living essentials needed to survive or raise a family. Counteracting this, items that fell in price included TV’s (96% decline! ), toys (67% decline), and software and cell phone service (66% and 45% respectively). Clothing and furniture declined slightly, while new cars increased only slightly. Obviously the dramatic decline in electronics, software and toy prices has brought wonderful benefits, but these are still largely discretionary items, and they take up a much smaller portion of most household budgets. The average family is therefore likely facing more than the average 55% increase in prices over the last 20 years. Indeed, in his latest book, David Stockman has modified the CPI to put heavier and therefore more realistic weights on the four essential items of everyday life: food, energy, shelter and medical care. Using this measure, he finds the actual inflation rate over the past 29 years (when Greenspan became Fed Chairman) has been 3.1% per annum, rather than the official CPI rate of 1.7% per annum. Unfortunately, inflation will continue to be a problem for any person living in a country whose money is a fiat currency that is being debased by their government – which includes nearly all modern economies today. 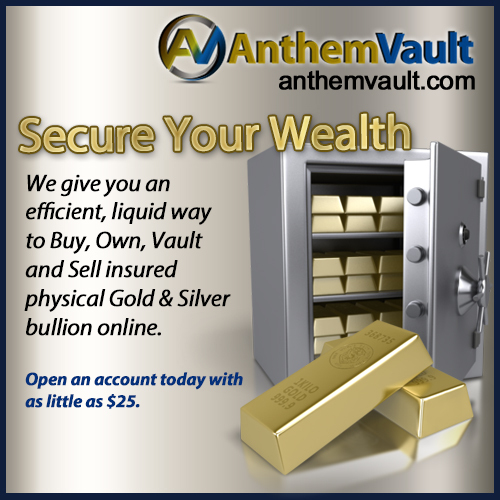 Thankfully, there is nothing stopping you from converting some of that fiat paper money directly into your own store of hard currency: physical gold and silver. During the past twenty years, while the official CPI increased 55%, gold has increased in value 235% and silver 282%. Time to buy gold and silver, perhaps? Posted by Chris Kuiper // October 18, 2016 // Gold, Gold Ownership, Investment, Personal Finance. Listen to a gold bug long enough and it seems like gold will always go up in price, and you can never own enough gold. But common sense tells us that “trees don’t grow to heaven” and, likewise, the price of gold won’t go to infinity. Although we have previously gone over the many reasons why gold is a great investment and a crucial addition to any portfolio, it also helps to take an honest look at when gold didn’t do so great in terms of its price history. Doing this gives us a greater understanding of gold as an asset class, what to expect and why – despite some poor periods – it still stands out as a solid investment. Gold advocates will often remind you that “Gold will never go to zero, unlike other financial instruments such as individual stocks or even bonds.” This is true, and will likely remain true given gold’s scarcity and historical precedent as money and a universally recognized medium of exchange. Unless someone figures out how to turn straw into gold, we can be fairly confident in this prediction. However, while there is great comfort in owning gold, it still technically means that gold could go down in price by a significant amount. So what were some of the worst times for gold? When the link between the dollar and gold was severed by President Nixon in August of 1971, gold went from an average of approximately $40 per ounce to nearly $200 at the end of 1974, an almost 400% increase! At this time, President Ford made it possible for citizens to hold gold and bullion once again. If you were someone who eagerly went out and purchased the newly legalized gold for the first time beginning in 1975, you would have seen your shiny new investment’s value cut in half as gold plunged from nearly $200 an ounce to a low of $103 in less than two years. However, gold then went on to make one of its most spectacular bull runs in its history, reaching a new all-time high of $843 per ounce in January of 1980, from its previous low of $103 in September of 1976. This represented an increase of over 700% in less than three and a half years; annualized, this works out to around 85% per year. Yet the massive price run in such a short period led to a collapse to $300 per ounce by June of 1982, a more than 60% decline in less than three years. Of course, this entire episode was during the stagflation of the 1970’s where gold took off in the face of extreme inflation, only to be brought back to earth by Federal Reserve Chairman Paul Volker’s very high interest rates. This shows us that in its early history of trading freely against the dollar, gold had some wild gyrations with drawdowns as much as 50% and 60%. Yet even if someone had terrible timing and purchased gold at nearly $200 an ounce beginning in 1974, holding it through the extreme times of the 70’s and early 80’s still produced a gain of 50% as gold settled down to $300 per ounce. The worst time for gold was still to come in terms of its price against the dollar. After its spectacular run and subsequent decline, gold continued to be fairly boring and it gradually declined in price overall. From $300 per ounce in 1982, gold eventually bottomed out at $253 in July of 1999. In contrast, the Dow Jones Industrial Average racked up over 1,300% in the same period. Given gold’s bottom of $253 in 1999, and its previous all-time (although very brief) high of $843 in 1980, we can see the absolute worst performance for gold in its entire history: a decline of 70% over a nearly 20 year period. require some incredibly unlucky timing and poor assumptions. To achieve this, an investor would have to buy their entire gold allocation on one day that just so happened to be an all-time high, and they would then have to sell all of their gold on a coincidentally unlucky day when gold was at an all-time low. Most investors spread their purchases over time, and rebalance accordingly, taking advantage of price changes. It is therefore not likely that anyone would realize this full 70% loss. Secondly, even if an investor did experience a full 70% loss over nearly 20 years, this represents an annualized 6% loss per year. This is certainly a painful time, but if this investor was following something like our 10% recommended allocation toward gold, the total effect on their portfolio would only be a drag of 0.6%. We have often talked about gold being an alternative currency and more of an insurance policy than a high-performing asset class. Although this 20 year period was the worst in gold’s history, it still ended up ‘costing’ the investor only 0.6% per year, similar to or even less than other forms of portfolio insurance. Ironically, that 20-year low period has been followed by a gain for gold of over 350% from 2000 up to the present! What happened after this low in July of 1999? Gold went on to a new all-time high of nearly $1,900 per ounce in September of 2011, a 650% gain or just over 18% annualized. This is a perfect example of how we as investors cannot predict the timing of these asset class moves, and why a portfolio balanced between major assets takes advantage of this uncertainty. The bottom line is that gold certainly has its ups and downs, and it would therefore be foolish to put 100% of your portfolio into gold. Yet a careful analysis shows that gold is still less volatile and has smaller drawdowns than the stock market. Given its non-correlation to other major financial assets, it remains an incredible diversifier and a vital form of portfolio insurance. Posted by Chris Kuiper // September 28, 2016 // Banking, Currency, Economics, Finance, Global Finance, Government, Money & Finance. With the latest Federal Reserve meeting and subsequent announcement last week that interest rates will not be raised at this time, many missed the news from the Bank of Japan. 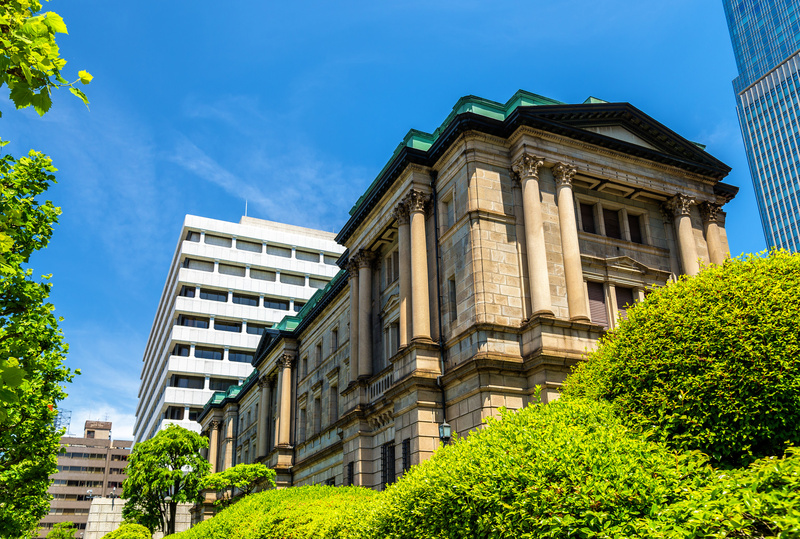 The central bank of Japan not only unveiled a new monetary policy experiment, but also admitted it’s current plans thus far have not worked and that it’s losing credibility. By now, almost everyone understands that central bank policies push short-term interest rates lower, even though these policies are prompted by a desire to spur borrowing, increase hiring by businesses and boost spending in an effort to increase wealth in a “virtuous circle” that jumpstarts the economy. The Bank of Japan has been trying particularly hard to shovel money into the economy, not only to spur activity but also to combat deflation. The bank fears falling prices will lead to consumers resisting spending and businesses becoming too risk-averse. As we have noted here before, both of these theories – jumpstarting an economy with money-printing and fearing deflation – are wrong. However, instead of realizing this, the Bank of Japan continues to double down on failure. On Wednesday last week, the bank unveiled a new experiment. Rather than announcing it would inject a certain amount of money into the economy, such as buying a predetermined amount of bonds, it will instead target long-term interest rates directly. Specifically, the central bank will target the 10-year government bond yield to be zero percent. This means the Bank of Japan will stand ready to buy or sell 10-year bonds so the yield stays near zero. Let that concept sink in for a moment. Interest rates are important price signals in any economy. Simply stated, they are the price to borrow money. Even more crucially, they coordinate people’s time preference; in other words, they coordinate resources between people who need them now, versus those who want to use them later. Any institution claiming they know what a price should be, while interfering with the natural free market process of price-setting, is bound to run into trouble. Governments and central banks have tried to control prices of goods before, always resulting in a market shortage or surplus since the price is not left alone to freely coordinate supply and demand. In this case, the Bank of Japan is setting a hard price on government loans. Japan is one of the most heavily indebted countries on the planet at over 200% debt-to-GDP. If investors ever lose confidence in Japan to pay back this debt, or do so in its own currency, they will sell the bonds, driving up the yields. The central bank will then have to stand ready to buy up all of these bonds to keep the yield at zero, effectively monetizing its debt. Haruhiko Kuroda, the Governor of the Bank of Japan, in a speech accompanying the new policy announcement, noted their 2% inflation target was obviously not working. The bank’s former plan had been to make a strong verbal commitment to a 2% inflation target, and back it up with the bank’s large asset purchases (their QE), hoping they should then see inflation move towards their goal. Instead, prices continue to fall in Japan. Mr. Kuroda concluded that the plan is not working, theorizing that consumers base their inflation expectations on past prices and psychology, rather than what central bankers tell them. Unfortunately, rather than admit defeat and recognize the limits of centrally-planned monetary policy, the Bank of Japan will continue to pursue any and all policies, ever bolder and more absurd, until it sees the consumer price inflation it desires. But higher consumer prices due to monetary policy will not generate more wealth and economic prosperity for Japan. By the time prices rise above their 2% target, it will likely be too late, because confidence in the central bank’s control and the country’s currency will have already been eroded. 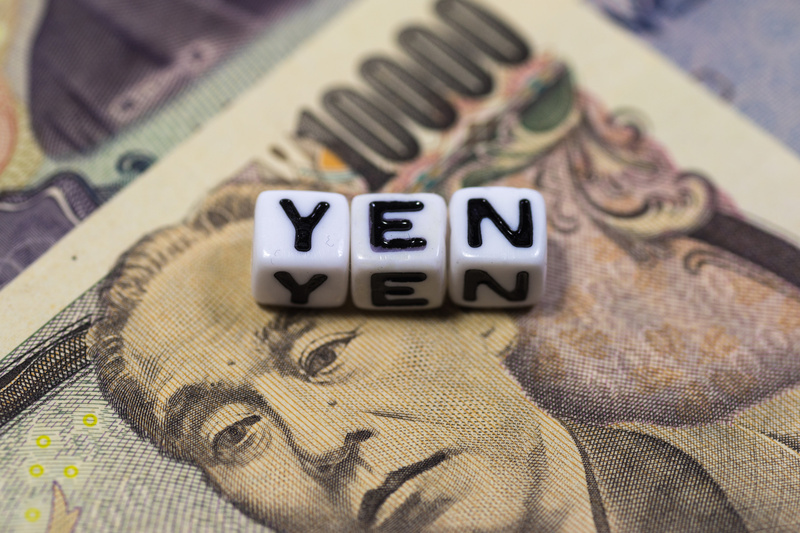 The Bank of Japan has frequently been at the leading edge of new monetary policies and experiments, such as negative interest rates and now direct and blatant manipulation of the yield curve. Expect other central banks to watch closely and to try similar measures soon. Posted by Chris Kuiper // August 23, 2016 // Currency, Economics, Finance, Future Predictions, Global Finance, Gold, Gold Ownership, Individual & Economic Liberty, Investment, Money & Finance, Personal Finance, Silver. The four most dangerous words in the world of finance, often repeated, are “This time it’s different.” During both of the last two major booms and busts, a common belief was that the new internet age was different (2000) and later, that housing was also different (2008). However, used to describe our current interest rate environment (particularly negative interest rates), the over-worked phrase actually does ring true. Financial journalist and observer Jim Grant noted at a recent investment conference that research on interest rates shows that over the past 5,000 years of history, there has never been an instance of negative interest rates… until now. The ever quick-witted Grant remarked, “If these are the first sub-zero interest rates in 5,000 years, is this not the worst economy since 3,000 B.C. ?” Perhaps. Or maybe this is just the first time in history where we have central banks active in monetary policy, attempting to drive interest rates as low as possible. The current amount of debt sporting a negative yield continues to grow. In early 2016, there was over $5 trillion in negative yielding debt. This grew to nearly $12 trillion by the end of June, and it is now closer to $13.4 trillion! Not only has more debt become negative in yield, but it is increasingly happening to longer term debt. Yields on 10-year government bonds have become negative for Germany, Switzerland and Japan. Remember that bond yields are an inverse to bond prices. As bond prices get bid up, their yields go down. What makes this unique is that bonds are a relatively simple financial instrument. Bonds do not have the subjective valuation that applies to stocks, and this makes the math and the logic of bonds fairly straightforward. A person can buy a stock from another person while thinking it still has the potential to go higher, given higher growth prospects for the company. The price is based on one person’s subjective valuation. On the other hand, bonds are not as subjective. If you buy a bond at a certain price, with a certain coupon payment, then the yield is a mathematical certainty. It is the yield you will receive per year if you hold the bond to maturity, and if it pays the principal in full without defaulting. By stark contrast, today’s current bond buyers are purchasing a security where they know they will lose money if it is held to maturity. For example, if you buy a bond today with a negative 0.5% yield, and it has five years until maturity, then after five years, you will be paid back less than what you originally paid for the bond. Even with the coupon payments you received during the life of the bond, the total payout will be equivalent to getting a minus 0.5% return on your money. Therefore, we must make one of two different assumptions about current buyers of negative yielding debt. One assumption is they could be anticipating the bonds will continue to go up in price and that they will then sell them for a profit. In other words, the negative yields will become even more negative, and they will sell the bonds before maturity. Unfortunately, this requires the buyer to believe there will always be a ‘greater fool’ out there who is willing to accept a higher price than what the original buyer paid. It it not unlike those who bought houses before 2007 on the premise they would flip them to a higher bidder. Remember that with bonds, someone must be holding these financial instruments at all times. The second assumption is that buyers are perfectly fine accepting a negative yield, and are willing to ‘pay for the privilege’ of lending out their money. This goes against all basic laws of finance. It only makes sense insofar as these buyers have no other place to put their money, and are therefore choosing the lesser evil. But this is a weak explanation, because they could put their money in cash and get at least a zero percent return. Also, this doesn’t seem to make sense for longer maturity debt, as it means these buyers think negative interest rates are here to stay for at least ten years or more. Both of these scenarios point out how this time, it is very different, and we are living in a twisted financial world, a world only exists because of the manipulations and distortions of central banks. Like a frog languishing in a slowly heating pot of water, investors have warmed up to the environment of negative interest rates, not realizing how absurd and dangerous the situation has become. But take time now to assess, and be well prepared for the inevitable. In this zero/negative interest rate environment, it is stunning to consider that since 2000, the DJIA (Dow Jones Industrial Average) has increased in value 63% while silver has increased in value 289% and gold has increased 380%…. an annualized return of 23.75%!